Whoa. This article was one of the first things I read this morning, and I was devastated. I love me some ham, bacon, and pork tenderloin! I will be stocking up once I eat my way through some of my freezer stockpile. Anyone else planning to stock up? 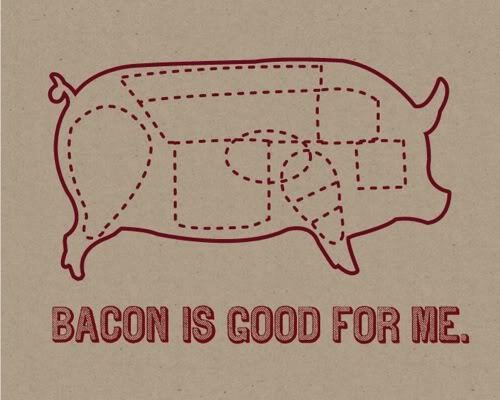 Also, you can buy this AWESOME bacon print here! This entry was posted in celiac, gluten-free and tagged bacon, news by mollykhodgin. Bookmark the permalink. I kind of want to…my backyard is fenced in….You can come visit every day after work!